Discover the wild, untouched and lush beauty of Los Haitises National Park, a protected forest sanctuary along the coast that includes dozens of tiny islands on San Lorenzo Bay. Meander by boat through mangroves and swamps teeming with crustaceans and reptiles, and ponder over petroglyphs in prehistoric caves where pirates once hid their bounty. Observe large numbers of brown pelicans, frigate birds and royal terns at Cayo de los Pájaros, and relax on a hammock on Cayo Levantado. Lunch and hotel transport from Samaná are included. 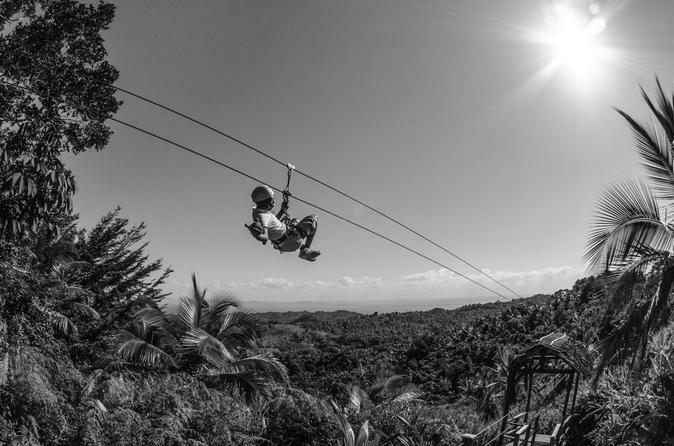 Zipline from platform to platform and swing through the air with a privileged bird’s eye view of the Cayo Levantado Isle, the Haitises National Park as well as the lush, tropical vegetation of the Juana Vicenta region. You will be safely attached with climbing gear to the cables with the longest one being 450 meters long. Meander by boat through mangrove forests thriving with reptiles, crustaceans and manatees in Los Haitises National Park. 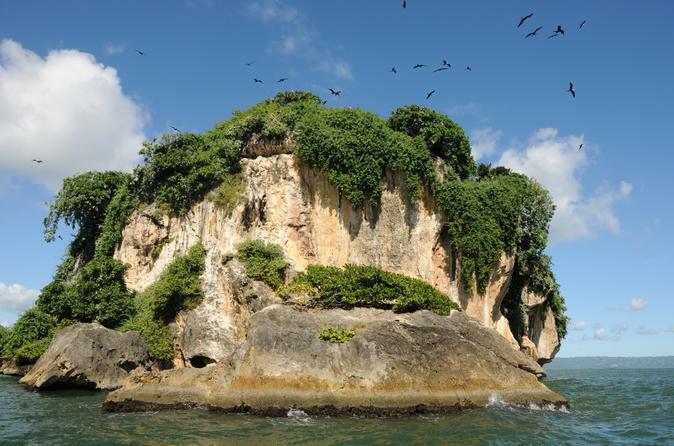 This guided day trip takes you into a protected nature reserve along the Dominican Republic’s eastern coast that includes tiny islands like Boca del Tiburon on San Lorenzo Bay. Wander into caves adorned with Taino petroglyphs and then spend an indulgent afternoon on Cayo Levantado, a white-sand paradise with coconut palms. A buffet lunch with an open bar and hotel transport from Samaná are included. Hop on board of our catamaran and you will enjoy a breath-taking ride while crossing the bay of Samaná. The catamaran will head towards the exclusive harbor of Ceiba Park, right in the heart of Miches. 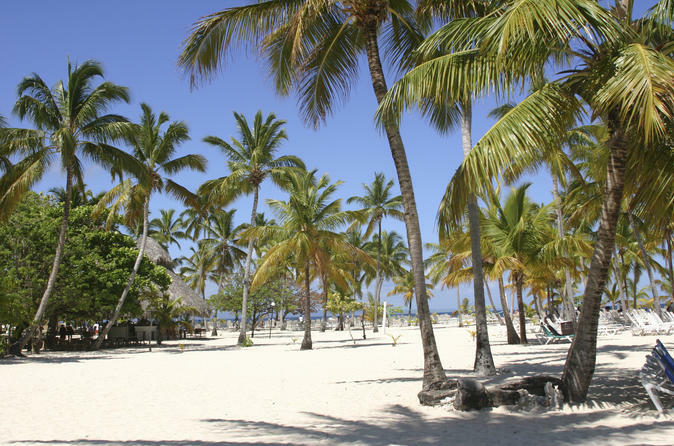 From Ceiba Park there will be a picturesque and air-conditioned bus ride among fields and mountains until we reach the exuberant city of Bavaro, Punta Cana. 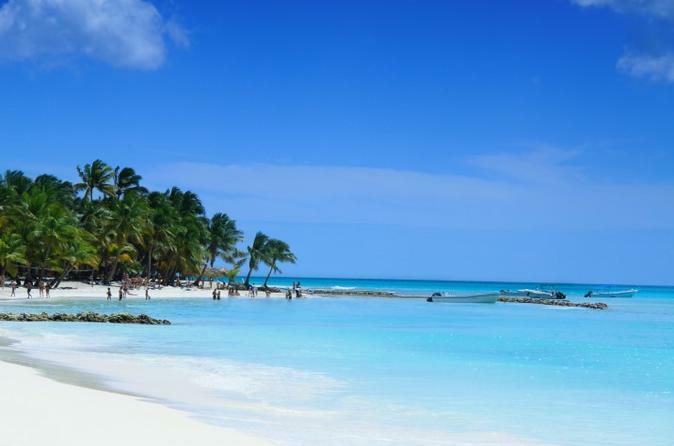 Here we will explore the most important tourist destination in the Caribbean. 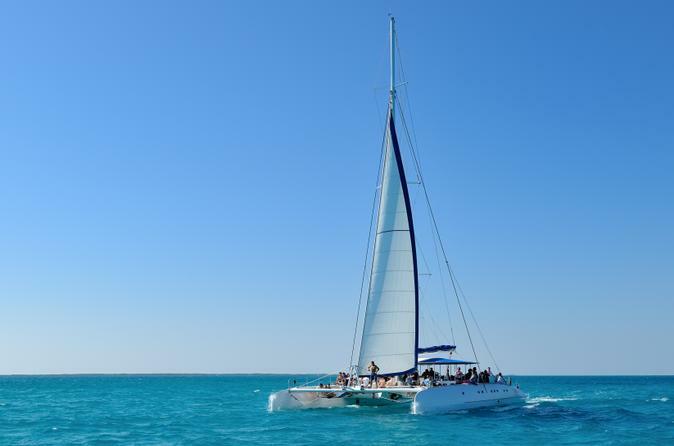 Experience the sophistication of sailing and the delights of snorkeling on this catamaran combo tour from Samaná. Relax on a luxurious vessel, absorb incredible views of the bay and snorkel at Cayo La Farola, an excellent spot to observe a rich variety of colorful tropical fish and large sections of a barrier reef. Spend time on beautiful Cayo Levantado before enjoying a buffet lunch with an open bar at the chic Café del Mar in Puerto Bahia. Pickup and drop-off from Samaná hotels are included. This 5-hour guided tour packs in the pleasures of the Samaná Peninsula and includes a boat ride to Cayo Levantado, a slice of Caribbean paradise. First, a safari-style truck zips you around, including a city tour of the port town and transport to Rancho Aventuras. After a horseback ride, splash about the base of El Limón Waterfall. Enjoy a delicious buffet lunch and then relax on the shores of Cayo Levantado, where fine sand and lapping waves await you. Includes hotel transport by coach with breakfast and snacks. Spend a relaxing beach day on one of the most beautiful stretches of sand in the Caribbean on this day trip to Rincon Beach (Playa Rincon) from Samaná. 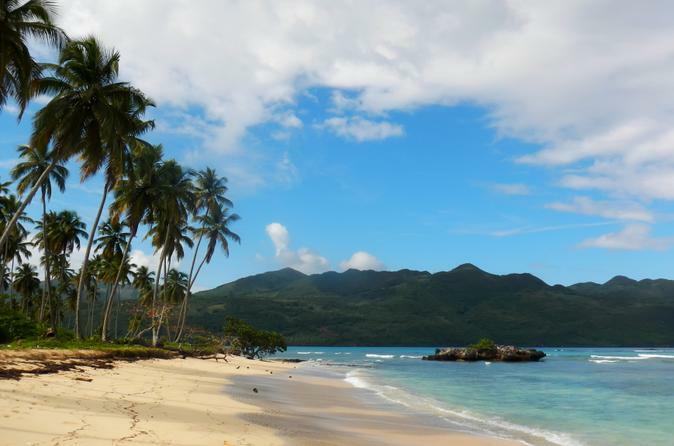 The jewel in the Samaná Peninsula’s crown of gorgeous tropical sights, Playa Rincon is remote and takes a bit of effort to access, so make it easy on yourself with this convenient tour that includes round-trip hotel transport. You’ll have about four hours on the beach to sunbathe and swim in the perfect turquoise sea. Lunch on the beach is included. This pleasant morning tour begins at a mountainside plantation, where you'll snack it up with tastings of just-made coffee, chocolate and honey, along with fine Dominican rum. 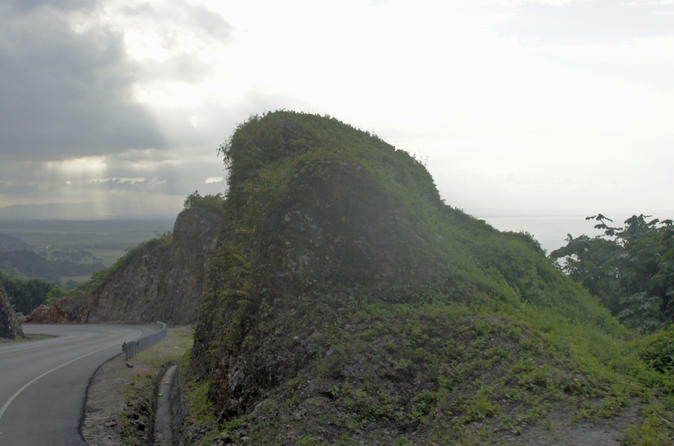 Then explore the lush mountain scenery of El Limón National Park by horseback. Your trusty steed clops along the Arroyo Chico River and reaches the thundering El Limón Waterfall, a must-see for any visit to the Dominican Republic. 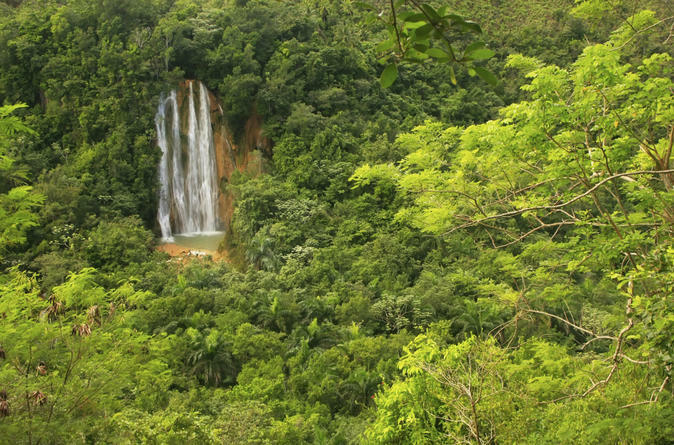 Cool off with a swim in a natural pool before an open-air safari-style truck takes you back to your Samaná hotel.